What is a Summer Pre-Apprenticeship Scholarship Program? 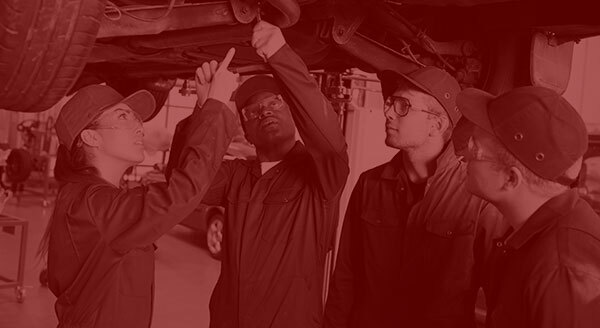 The ML701TF Summer Pre-Apprenticeship Scholarship Program was created to offer current high school students interested in careers in automotive technology an opportunity to experience post secondary training subjects, methods, equipment and facilities. What is the Mechanics Local 701 Training Fund? The Fund is a US Department of Labor supervised ERISA Apprenticeship Training Fund. The fund is financially supported and jointly managed by the members of Automobile Mechanics Local 701, independent employers and the employers of the following associations: New Car Dealer Committee of the Chicago Automobile Trade Association, the Mid-America Regional Bargaining Association and the Northern Illinois Ready Mix & Materials Association. Is there a cost to the students? There is no tuition, fee or meals cost to students accepted into the pre-apprenticeship scholarship program. The program is sponsored by the ML701TF expenses shared by the members and employers members of Automobile Mechanics Local 701 and grant from the Federal Mediation and Conciliation Service in independent agency of the United States Government. The program is conducted at the Mechanics Local 701 Training Fund Facility located at 450 Gundersen Drive in Carol Stream, Illinois. Approximately North Avenue and Schmale Road in central DuPage County. The facility is smoke-free, has an unblemished safety record and firearms are prohibited. While on the facility grounds and participating in the program, students will be under continuous adult supervision. 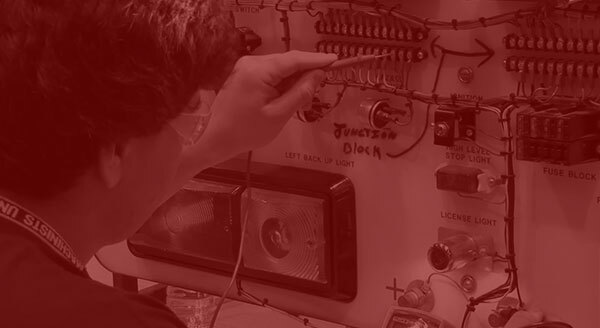 Any Class of 2019 or Class of 2020 high school student currently enrolled in a school or school cooperative automotive technology training classes is eligible for nomination. Where are the eligible students drawn from? Invitations to nominate high school students were emailed to the principals, career counselors, technical education administrators, and the automotive instructors of the 180 high schools sponsoring automotive technology courses in Cook, Lake, McHenry, DuPage, Kane, Will and Kankakee counties in Illinois and in Lake and Porter counties in Indiana. How many nominated students will be offered scholarships? The program is designed to accommodate a maximum of 40 students. What are the program time and date details? Groups of 10 students will attend class Monday through Thursday from 9 am to 3 pm. On a first come, first served basis, students accepted into the program may choose one of the following course date offerings: June 8th-11th; June 15th-18th; July 22nd-25th; or July 29th-August 1st. At a level tailored to the comprehension of high school students, the Science, Technology, Engineering, and Math STEM influenced curriculum was designed by Anthony Gumushian, Professor and Coordinator of Automotive Technology at Prairie State College. The curriculum demonstrates how scientific laws and principles relate to the design and function of the hydraulic, mechanical and electrical systems of the automobile. Summer Pre-Apprenticeship Scholarship Program instructors are current training facility instructors and special invitation guest high school, technical center, and college automotive technology instructors. 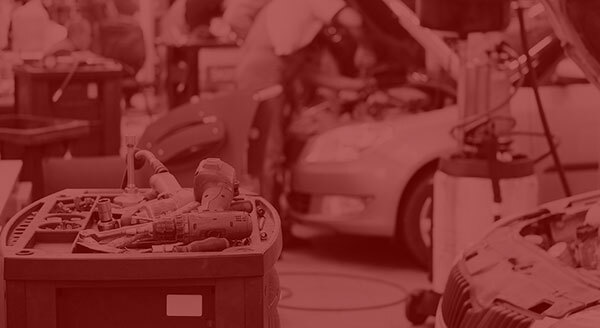 All instructors are professionally credentialed by the National Institute for Automotive Service Excellence (ASE) and bring decades of practical experience as automotive technicians in the private sector. What does the program expect of the scholarship student? 1. As minors, scholarship students will be required to furnish proof of their parent’s or legal guardian’s permission through submission of the program’s legal release form. 2. Students must arrange transportation to and from the Carol Stream training facility. 3. Students are expected to arrive prior to the start of instruction, depart after the conclusion of instruction and attend all 4 days of the class. 4. Students are required to remain in the training facility building or in pre-designated areas of the training facility grounds while in charge of the program. A complimentary, limited variety box lunch and beverage will be offered to students daily. Students with dietary restrictions may bring snacks and lunches from home. A refrigerator and microwave oven are available for student use. 5. Unless specifically required for class participation and authorized by an instructor, access to all electronic communication devices (eg. laptop computers, tablets, smartphones and watches) is prohibited during instruction periods. Scholarship students are required to relinquish physical control of their communication devices during instruction periods. Student electronic communication devices will be re-available to students during class breaks and lunch. 6. Emergency parent or guardian communications to students may be conducted through the training facility administration. What is the scholarship nomination process? School personnel may nominate one or more of their school’s students by accessing the Scholarship Nomination Portal of the Mechanics Local 701 Training Fund website and following the instructions. NOTE: Program acceptance notifications will be emailed to school nominating personnel, parents, and students upon the Mechanics Local 701 Training Fund’s receipt and review of submitted Student/Parent Contract Waiver and Release Form. Scholarships are limited and the Training Fund reserves the right to consolidate class offering dates, reject a scholarship nomination or applicant or revoke the scholarship of a student at any time. A. Scholarship nominations will close at 4:00 pm on Friday, May 31, 2019.
Who do I call if I have additional questions or need additional information? Nicole is the program’s student nomination and scheduling coordinator. She may be reached at 630-242-2885 or nicole701training@gmail.com from 9 am to 4 pm Monday thru Friday.